Conservation charity the National Trust wants the public’s views on a loo. The organisation is seeking people’s opinion on its plans to upgrade public toilets at Wasdale Head. Representatives will be on hand to share plans and answer questions next week. 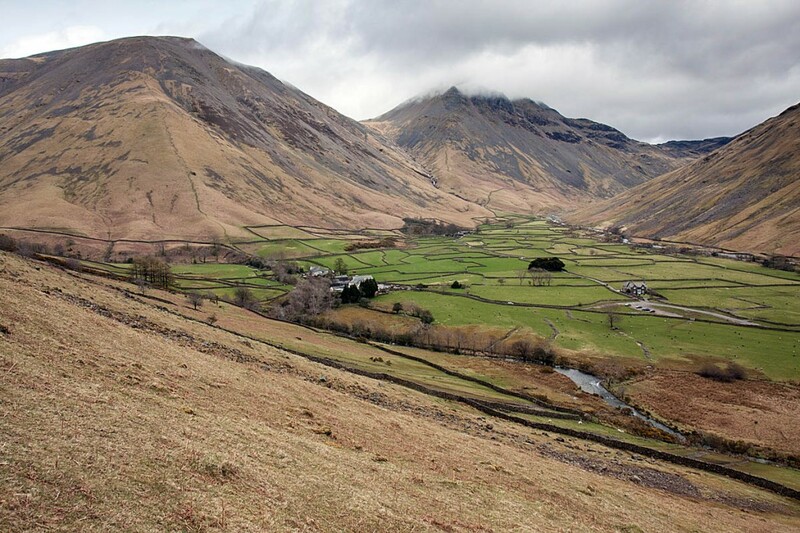 The charity says a quarter of a million people pass through Wasdale each year, many heading for Scafell Pike. Improved conveniences will come as a relief for walkers and other outdoor enthusiasts. Marian Silvester, the trust’s general manager in the west Lakes said: “A huge number of people come to Wasdale Head and Lake Head and want to spend a penny before setting off to climb Scafell Pike. “We have been working hard to find better, permanent toilets to improve visitor facilities. “We want our loos to be up to the standard that people expect from the National Trust and, given the location, they must be very environmentally friendly. The buildings must also blend into one of the most iconic landscapes in the UK which includes its mediaeval wall system. “We will be sharing our plans and answering questions at Wasdale Head Inn on Monday 26 November. Anyone is welcome to drop in between 2pm and 5pm to find out more. Sorry, what ?! a public consultation on an afternoon, on a work day. I guess we can tell where this is going then. It's hardly somewhere you can just "drop in" is it? This is somewhere that desperately needs decent toilets the temporary toilets have been left in a terrible state on occasions by the numbers using them. I believe that they relied on local volunteer residents to maintain them. The trust has managed to solve toilet problems in well used locations such as kynance cove in Cornwall, but the car park toilets have recently gone with only disabled facility in car park. In a lot of areas toilets have been on the cutting list of local authorities and there is generally poor provision countrywide. Couldn't agree more with Steve D - who would think of presenting plans on a Monday afternoon! When the majority of people are back to work, or gone home, after the weekend.